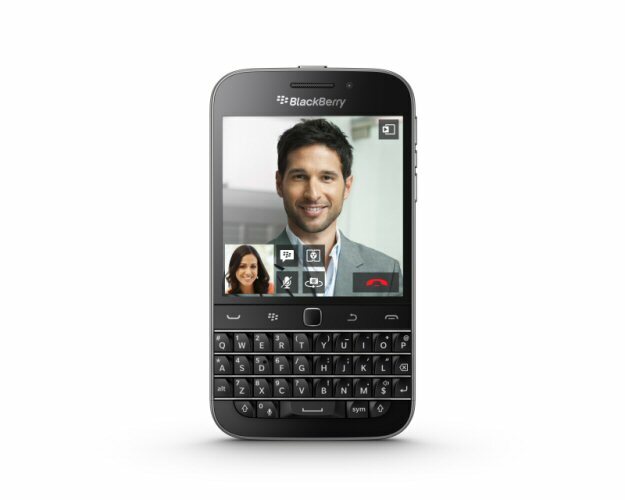 BlackBerry Limited (NASDAQ:BBRY)(TSX:BB), a global leader in mobile communications, today launched the BlackBerry® Classic™, a no-nonsense smartphone built to meet the needs of productive people who appreciate the speed and accuracy that can be found with a physical QWERTY keyboard. "We listened closely to our customers' feedback to ensure we are delivering the technologies to power them through their day - and that feedback led directly to the development of BlackBerry Classic," said John Chen, Executive Chairman and CEO at BlackBerry. "BlackBerry Classic is the powerful communications tool that many BlackBerry Bold and Curve users have been waiting for. It's the secure device that feels familiar in their hands, with the added performance and agility they need to be competitive in today's busy world." Premium Components - The device is built with durable materials mixed with top-of-the-line technology. This includes a 1.5 GHz Qualcomm Snapdragon Processor, 2GB RAM, 16GB of device storage (expandable by up to 128GB via uSD), and a 2MP front- and 8MP rear-facing camera with enhanced optics and upgraded imaging sensors. "This device underscores our commitment to helping BlackBerry users be at their most productive and respond to the demands of business from anywhere, at any time," said Chen. "By bringing back the trusted functionalities, incorporating our latest operating system and building a speedier browser, our users can feel confident they are using the best communications tool out there." To view the photo associated with this press release, please visit the following link: http://www.marketwire.com/library/20141217-Classic_Black_Front800.jpg.